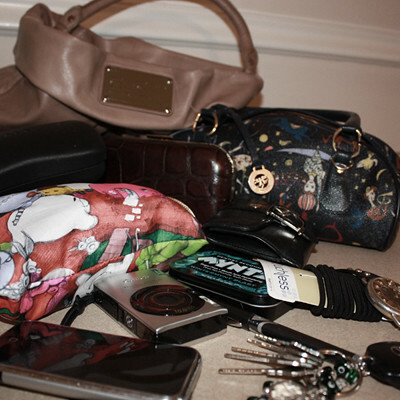 1Marc By Marc Jacobs Dr. Q - Lil Riz Pleated Hobo; Chanel Sunglasses; Banana Republic Clutch used to carry jewlery and the sorts; make up bag; canon powershot sd770; Dior wallet; Myntz; Hair ties; watch; pen; keys; iphone; Piero Guidi purse used as a camera bag for my camera. Yea I don't know how all of that crap fits inside my little purse, but it does. Except the camera bag, that I carry seperately. 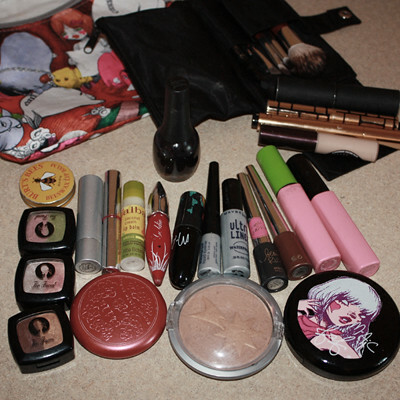 2Hodge podge of make up, not going to list each one. 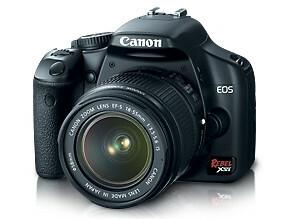 For those who ask, I use a Canon EOS Rebel XSI with a standard EF-S 18-55 Lens. If I make a video, I'm usually using my powershot.